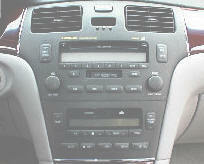 This car stereo is commonly seen in shop for many problems, tape not working, static on tape, stereo will not power up, no audio when stereo is on, Nakamichi systems with no audio from one or more speakers is usually a speaker problem, Nakamichi with no audio all speakers or thumping from speaker may be an amplifier problem. 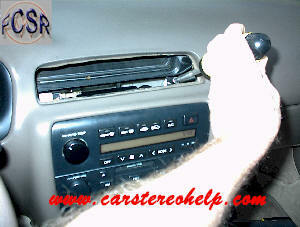 Please see our link to Shipping top and bottom of all pages before sending for repair. 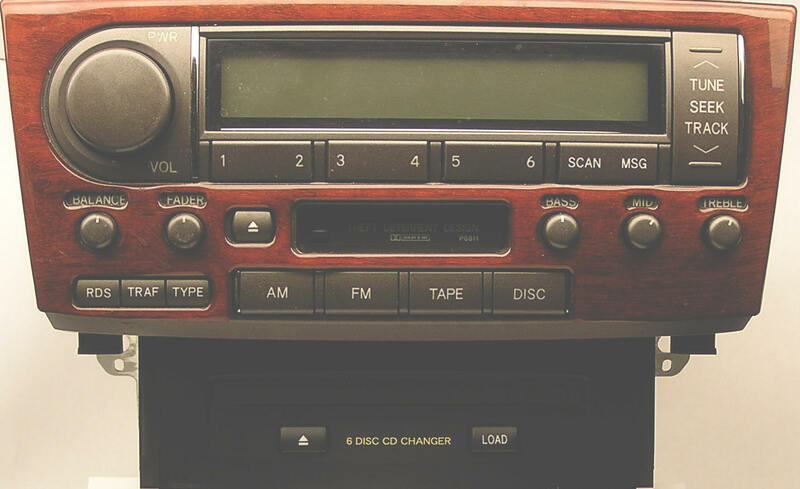 There is a chance of major damage to the AC vents on this dash. I would suggest professional help, if they break it, they should be responsible for the replacement. I've also been told, bend two coat hangers into a 90 degree angle, insert into vents at each side and pull on both at the same time. 1) Look into each outside vent. 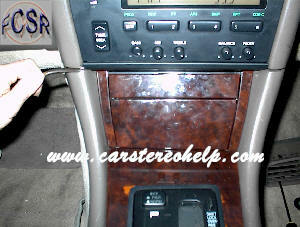 2) There is a clip inside each vent that holds the AC vents in place. 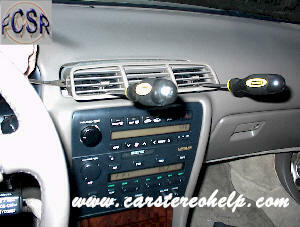 3) Place a flat head screw driver into each vent to pull this clip up by pushing down on the screw driver handle. 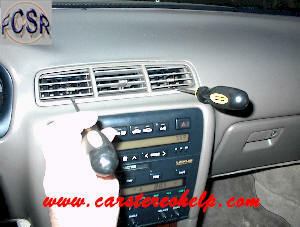 1) With flat head screw drivers pulling bottom clips up, apply major pressure to side of AC vents to pop for dash and remove. 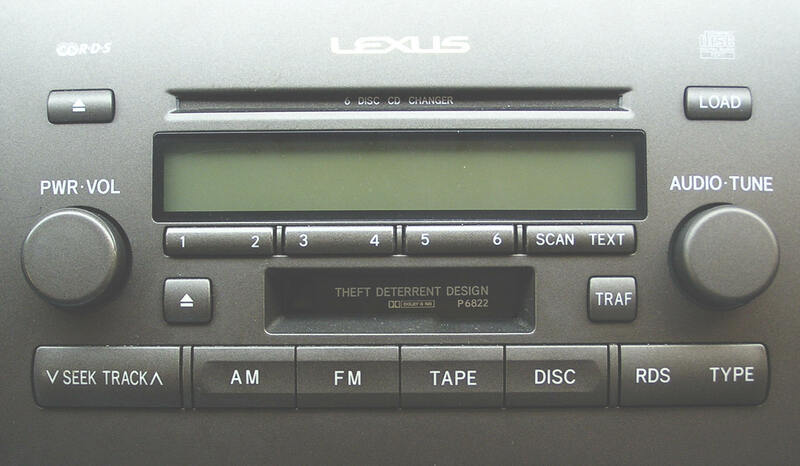 NOTE - The first time I saw this car, I took it to the dealership for removal. I was shocked at the amount of pressure needed to remove the vent, much less the size of the screw driver the mechanic uses! 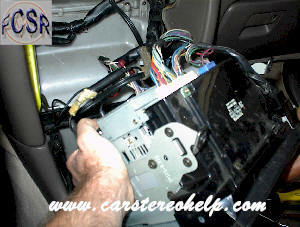 1) With AC vent removed, remove two exposed car stereo mounting screws. 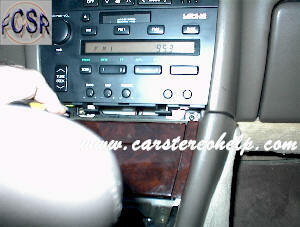 1) Below car stereo, gently pry panel from dash. 1) With pressure, two clips will release. 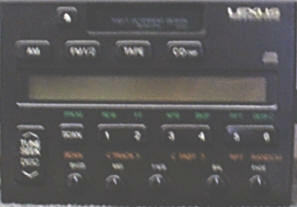 Set panel to side. 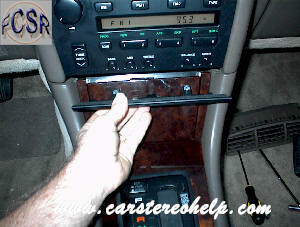 1) Remove two screws at top outside edges of drink holder and ash tray assembly. 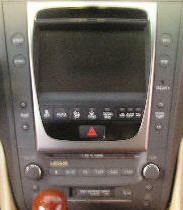 1) Set parking brake and shift to low gear. 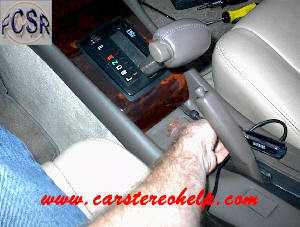 2) Gently pry back edge of gear shift trim panel up. 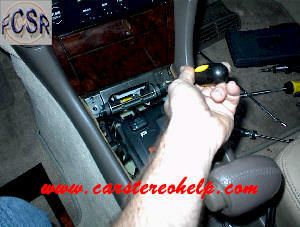 1) With all clips released, lift panel and twist over gear shift to remove. 1) Remove two lower screws on each side of opening. 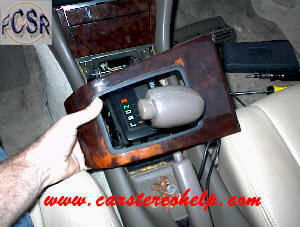 1) Pull top edge of drink holder and ashtray assembly forward from dash. 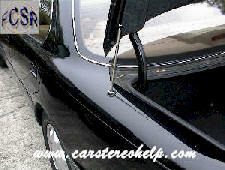 2) Lift bottom edge up to remove. 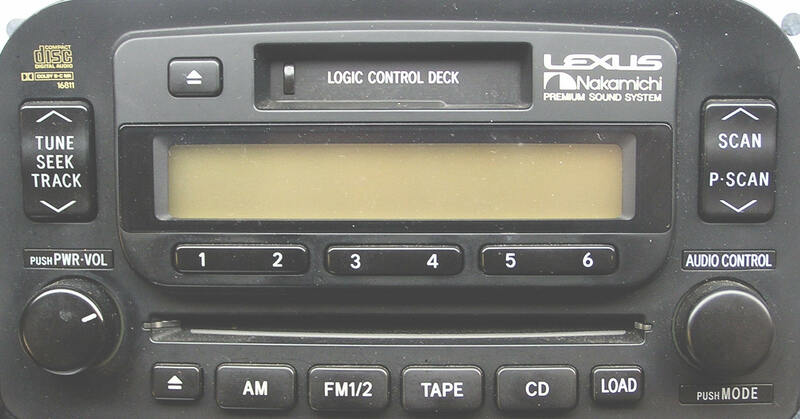 1) This panel will set to side while still connected. 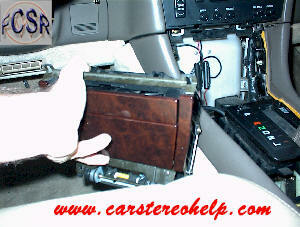 1) Remove two exposed screws below car stereo from drink holder and ashtray assembly removal. 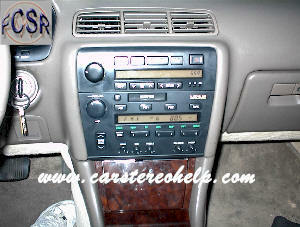 1) Pull car stereo and AC controls from dash. 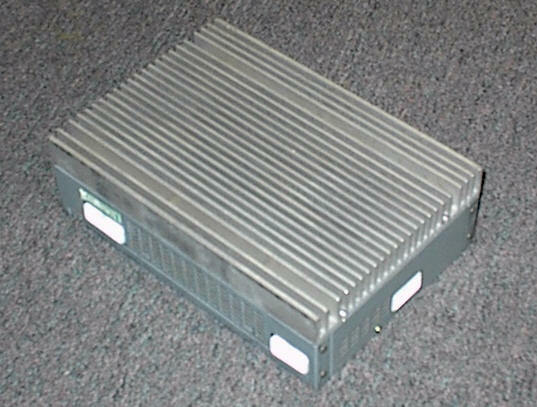 1) Pull assembly forward for access to all connectors. 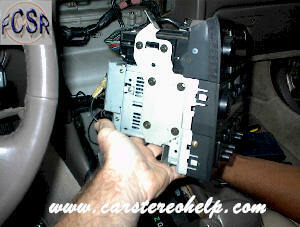 Release trigger on connectors to disconnect. 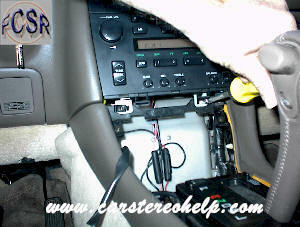 1) Remove four screws from each side of car stereo securing car stereo to mounting bracket. 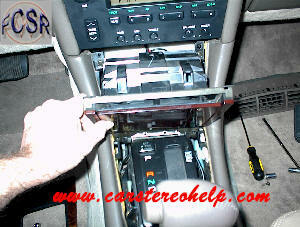 2) Slide car stereo forward from bracket to remove. 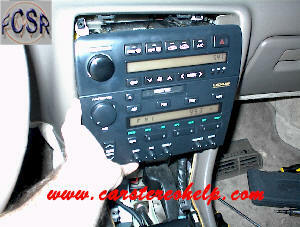 I know these car stereo removal instructions are helpful!